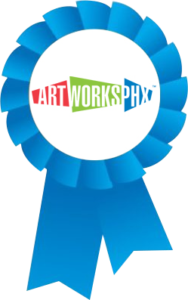 BUSINESS ART AWARDS – Artworks PHX – a business-arts campaign in Phoenix, Arizona USA. Is your business or nonprofit organization reaping the benefits of an arts partnership or arts related integration activities? We’d love to showcase your story. Tell us what you’re doing. In Spring 2017, PCA AND ArtWORKS PHX will host an awards program to recognize and honor organizations with outstanding arts activities in place to benefit employees, enhance organizational missions, and make Greater Phoenix a vibrant place to live. Join PCA for news and updates!